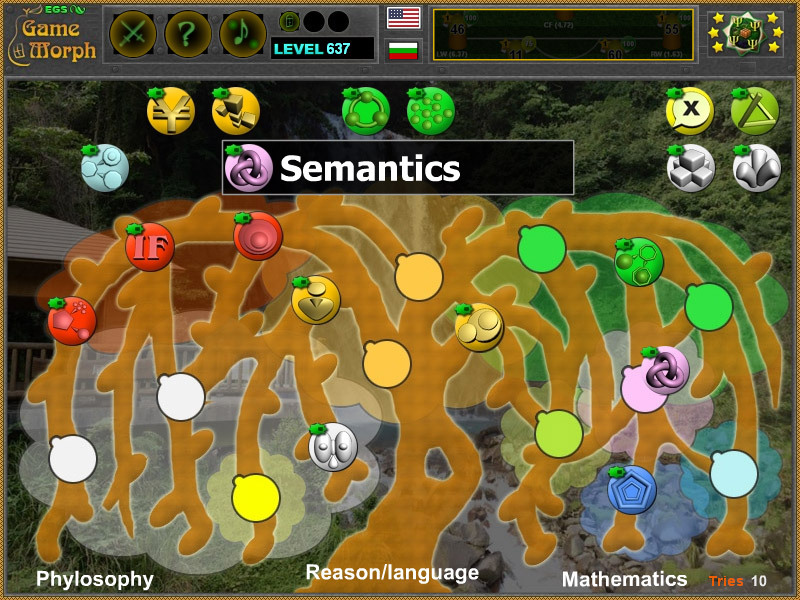 18 logical types and logic disciplines in a fun online learning game. systematized in a fun application by fields of study, logical sub-disciplines, key topics and concepts. A small puzzle game for desktop computers, laptops and tablets, which may be played in the web browser. 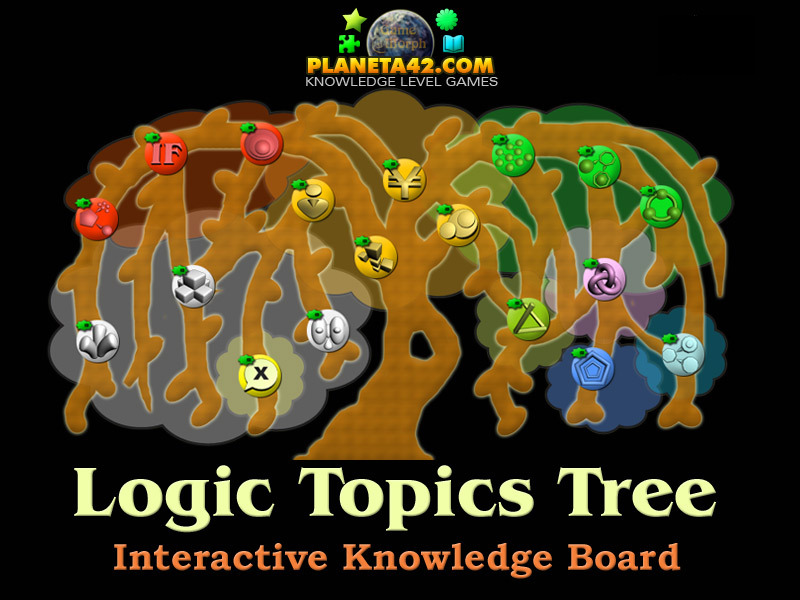 The Logic Knowledge Board include 18 pictures of logic topics to play with. The subject of logic studies in a fun knowledge game. What are the types of logic? How many kinds of logics are there? How is the logic divided by groups? Which are the logic study topics? How many subjects do logic study? Which are the logic branches? What is the Logic Tree of subjects? How to play Logic Topics Tree. categorize the logical groups of study. The main tree branches are in the middle. The empty sockets are colored in group colors, as the logic category. Drag the round picture and drop it over the appropriate color on the tree. The logic images will remain active, until arranged correctly. There is a small counter at the bottom right. It is used only for evaluation in fun classes and will not affect the knowledge level achievement. Know 18 topics from the logic types tree. Here is a gameplay movie solving the puzzle on YouTube. All logic game icons here. Labels: Board Games , Puzzles , Flash Games , Logic Games , Education Games , Free Online Games.